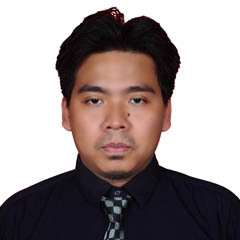 Ashadi is an Indonesian research assistant that handles numerous scopes of research e.g. probabilistic seismic hazard analysis. In 2005 he published a research in the Bulletin of the Seismological Society of America (BSSA), and authored Ground Motion Prediction Equations (GMPEs) for Subduction-Zone Earthquakes in Java Island, Indonesia (2014) to the Bulletin of Earthquake Engineering. MS, Geosciences, KFUPM, KSA, 2015. BS, Physics, Diponegoro Unversity, Indonesia, 2011. Probabilistic Seismic Hazard Analysis for Central Java Province, Indonesia (2014), published in Bulletin of the Seismological Society of America (BSSA) on June 2015, doi: 10.1785/0120140277. Ground Motion Prediction Equations (GMPEs) for Subduction-Zone Earthquakes in Java Island, Indonesia (2014), submitted to Bulletin of Earthquake Engineering.